As you may know I took sometime and researched a lot about this years beauty advent calendars. The majority are really expensive and some were many samples so I thought why not beat the expensive £50-£300 price tag and make own. 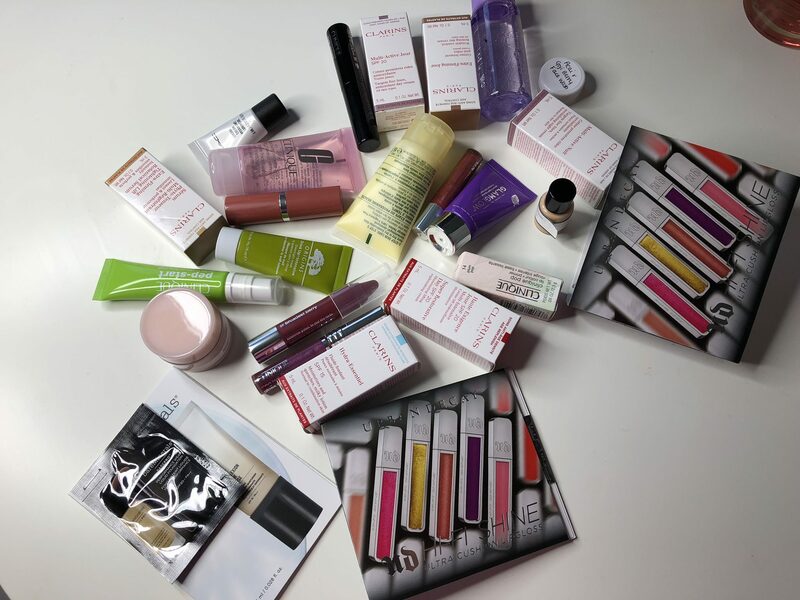 This way I get to try various beauty brands out and make for a lots cheaper. Here is how to make your very own. First of all you need to decide what kind of calendar you would like a sewn one with pockets or do you want a wooden one with draws. Your local craft store will sell a wide range of designs and styles. I decided to go for this wooden train purely because I couldn’t finish my Mandy Shaw Dandelion Designs fabric one in time. You also need to weigh up the size of the pocket/draw to the product size. 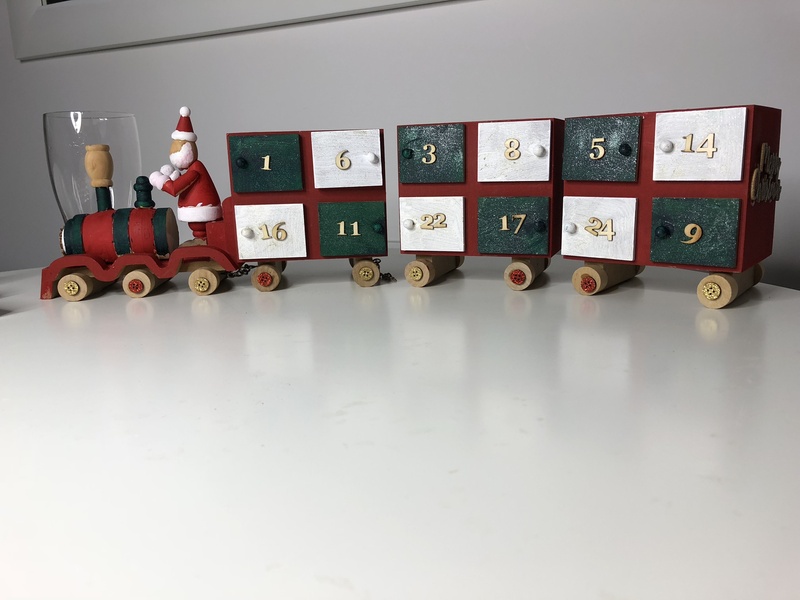 So my wooden train I actually started to make on the 12 makes of Christmas, Hobbycraft craft course. Its no master piece I have to admit but it works and does what I want it to do. Its handy having Hobbycraft just a few minutes walk away from my flat. I also got the embellishments to make my train my own. But if you don’t you can order online or I am sure other places do these too. 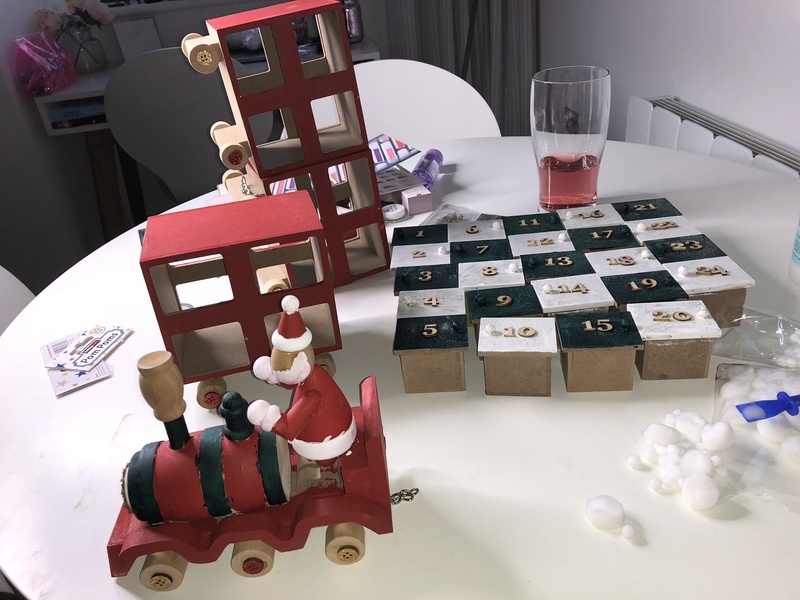 An advent can be made out of anything. I only had to finish off my train which really didn’t take too long but if you start this from scratch it may take you 6 hours make. Thats allowing paint to dry time too. And its definitely worth waiting that time for the paint to dry. Its easy to add the numbers to the draws as well because Hobbycraft have packs of them already for you with all the numbers you need. Simply just have to glue these on each draw. 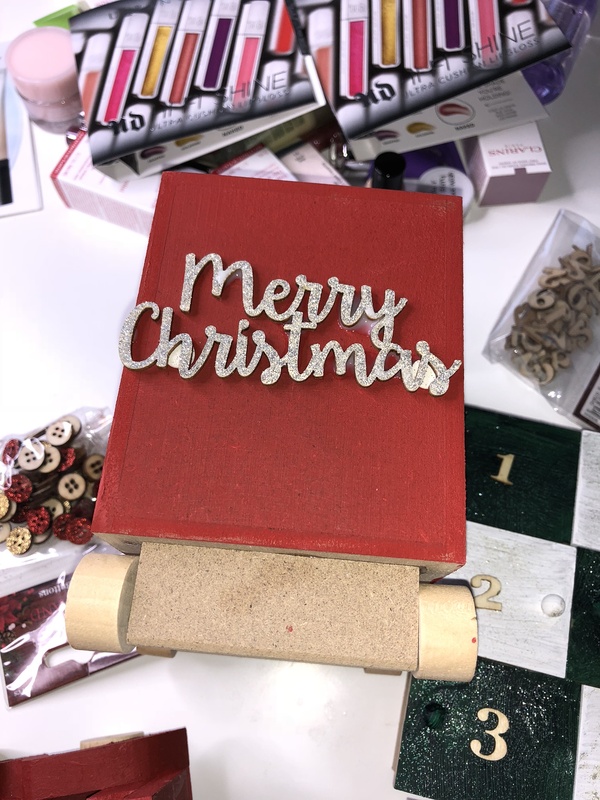 To make mine mine I added the Merry Christmas in the silver glitter embellishment on the back. I love silver and it just adds something to the borrow last carriage of the train. This is of course optional. The glitter buttons again are so cute and easy to just glue on. Its really easy to make this and anyone can do this. You can have your advent as simple or festive as you want to. This is why its a great thing to do and also the added bonus of only having to get the products next year. 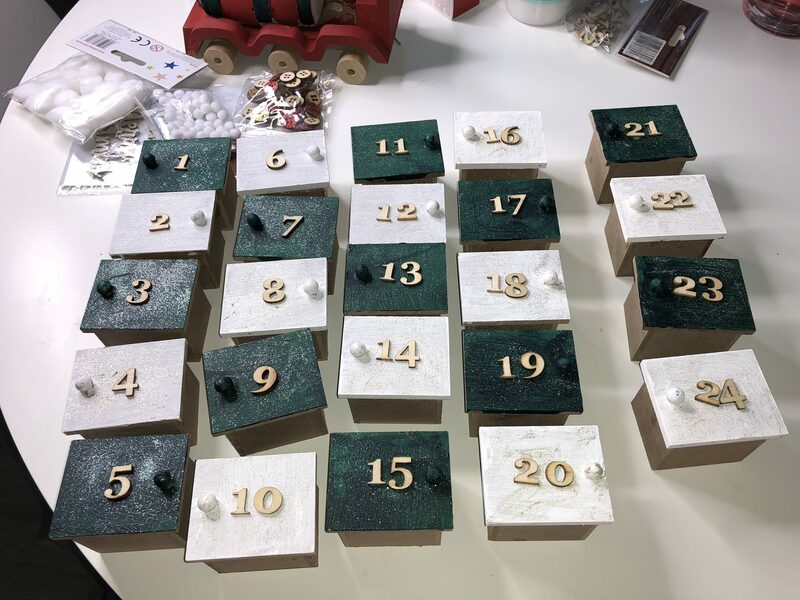 After your advent is painted, dried and decorated to as much as you would like its time to think of what products you would like to try and time to go shopping. Do you want more skincare, makeup or face masks? This is also the time to be brave and confident, a little out of your comfort zone if you are shy like me and go ask for them samples. I literally got 24 samples within 3 shops. John Lewis, Debenhams and Boots. If you aren’t as comfortable at asking then get a friend or your mum to go with you. I don’t know how my friend came up with the ideas but it definitely worked. Here are some tips of how to ask for samples. I have twin nieces who are only 10 and I wondered If you have any sample lip glosses as I don’t really want to spend the money on them at 10 when they are only playing around with it. I am looking to swap makeup and was wondering if you had any samples you could let me have as my skin is really sensitive and so just trying on in the shop really isn’t good enough for me to tell. I will say some brands are better than others and some like to give the sashays and others give mini sizes. The mini sizes are the better options. Other brands are just straight up no and thats ok. Other ways of getting samples are to become testers and all you have to do is answer a couple of questions and find out if you have been accepted or not. All depends on the time you have to where and what you can do to get these samples. Good brands seem to be Clarins, Clinique, Glamglow and Urban Decay. Another way to get products is if you are buying makeup or skincare for others for Christmas a lot of brands have offers on to get free products when you spend a certain amount. Bareminerals has spend £50 and get 4 full size lipsticks for free. Though this way you have to spend money you actually would be anyway on them friends or family but at the same time you are getting a free or in that case 4 free products. Once you have all your products all you need to do is yourself, Mum, friend or boyfriend/partner need to fill the advent for you. Its up to you if you would like a surprise each morning or if you are ok with knowing which exact product is in what draw. And its that simple! This costed me a maximum of £25 to make and thats nothing on some of the branded advent calendars. Plus the bonus of trying various brands and having that advent that will last years and cost you nothing on any other year than this! 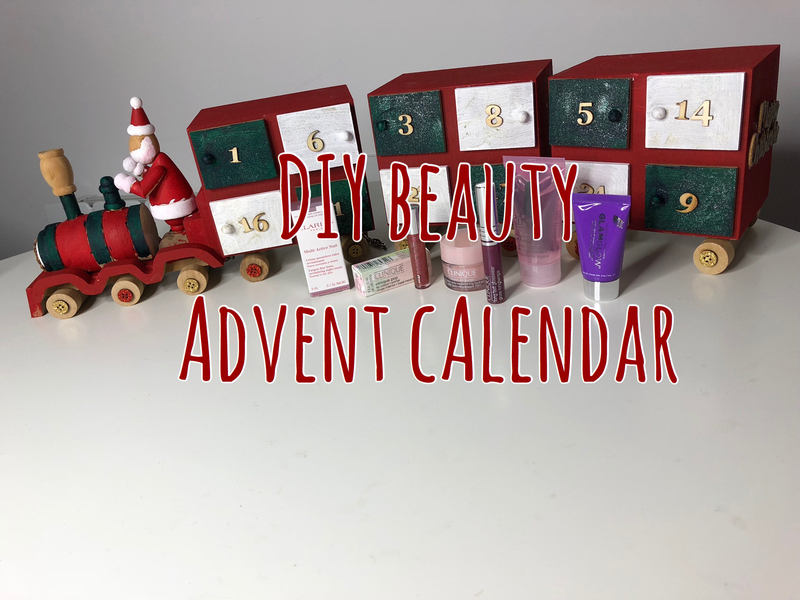 What type of brands and products would you put in your Beauty Advent Calendar? What would you suggest in regards to your put up that you made a few days ago?